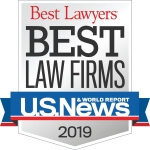 Frantz Law Group is a nationally recognized law firm that has specialized experience in representing victims of wildfires caused by the negligence of public utility companies and has represented and/or currently represents over 9,000 victims against various utility companies. When you or a loved one has been seriously injured due to another’s negligence, you may be entitled to compensation for damages. Proving liability, however, takes careful investigation, sophisticated analysis, and a winning courtroom strategy. At Frantz Law Group, our personal injury lawyers in California have a long-standing history of success based upon experience, planning, and hard work. 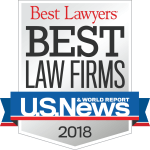 From offices in San Diego, Los Angeles, San Francisco, Sacramento, Fresno, Bakersfield, and Riverside, our lawyers represent plaintiffs in personal injury litigation cases throughout California and nationwide. 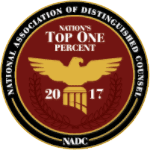 For litigation involving personal injury cases, wrongful death, and truck accidents, we have the capacity to represent clients nationwide. 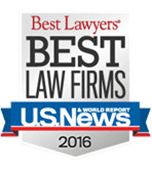 At Frantz Law Group, we invest in your case and we have experience in getting results. You work directly with your attorney and not a paralegal or junior member of the firm. More than that, we will work with experts and offer honest counsel, 24 hours a day, 7 days a week, when you need advice and guidance. All personal injury cases are taken on contingency, and you pay no legal fees and do not reimburse expenses advanced on their behalf unless our California personal injury attorneys recover monetary damages in a settlement or jury award. Don't Wait to Get Started on Your Case.Call (855) 930-2626 to Schedule Your Free Initial Consultation Today. Frantz Law Firm, APLC is a full-service law firm that is dedicated to getting results. 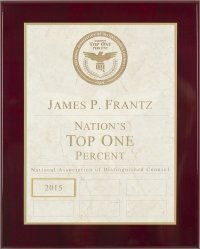 You can trust Frantz Law Group to give you the tools and legal talent you need to recover the compensation you deserve. We offer a team approach to use the skill of each of our members to go above and beyond your expectations. Our team that compliments each other, offering seasoned veterans and young energetic lawyers. We are compassionate in our approach and skilled in our representation. 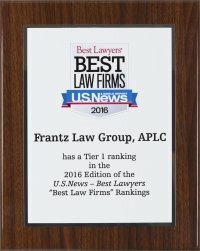 What Makes Frantz Law Group Unique? We are committed to winning each case through settlement or jury trial. We keep our clients updated and informed throughout the process. Our attorneys have over 126 years of combined legal experience. We focus on building trusting relationships with each client. Dedicated to our clients and providing the best service. We have achieved numerous successful case results. 2.06.18 What Is the Cost of California's Wildfires?